Caesare Belvano is an international, award-winning Ultimate Elvis Tribute Artist. Eternally Elvis In Concert is the ultimate musical tribute of the man who revolutionized the American popular music and became the most famous entertainer ever! 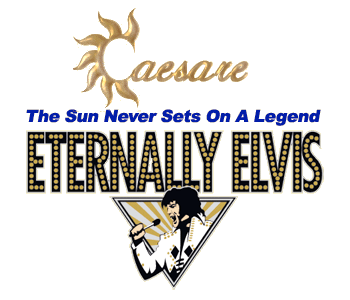 Today Caesare Belvano is one of the most sought after Elvis Tribute Artists in the business! He is a versatile performer with the ability to re-enact each era of Elvis Presley's life and career. Caesare recreates the electrifying rise and the exceptional career of Elvis Presley throughout his performance. The Musical Tribute Starring Caesare Belvano is a live, on-stage performance of Elvis Presley. Caesare not only sounds like The King of Rock 'N' Roll, but he literally becomes Elvis' double on stage. Caesare has the looks, the moves, and the voice. He maintains a performance of incredible authenticity. You can always trust in him to put on an electrifying show and to be respectful of the King's legacy. Being a professional entertainer, you are guaranteed to be rewarded with the utmost amazing Elvis Tribute. In addition to Caesare's recreation of "The King", the show also features an all around spectacular full-stage production! Audience appreciation is displayed with teddy bears, scarves and beautiful leis. Caesare has performed at many different events over the years both in the US and internationally. Those include weddings, family parties, Special Olympics, corporate events, multi-artist tribute shows, state fairs, etc. If you need an Elvis for your event, look no further, CAESARE BELVANO, IS THE BEST THERE IS! HE IS THE CLOSEST TO THE KING! 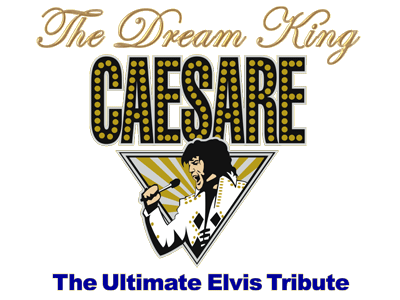 Caesare Belvano is The Closest To THE KING In Concert that you will ever see! "One of the top attractions in Las Vegas is a show called Eternally Elvis in Concert." "Like the superstar it recreates so magnificently, Eternally Elvis in Concert is sure to become a legend in its own time." "A splendid time is guaranteed." "Many come and see the ultimate Elvis Entertainer; it's a cosmic call of Eternally Elvis in Concert accept no imitations." "A live concert to me is EXCITING, because of all the electricity that's generated in the crowd and on the stage. It's my favorite part of Show Biz."